A couple of months ago Solicitor Rachel Bentley launched an e-petition. Today the petition has reached the remarkable landmark of 100,000 signatures. This makes a nonsense of the governments insistence that those who oppose these so called ‘reforms’ are acting out of vested interest. It is a clear message that people are genuinely angered by this whole process. So why is this such an important number? It means that parliament now has to take notice. Although a parliamentary debate is not guaranteed; it does now have to be considered. Opposition Justice Spokesman Sadique Khan has promised an opposition debate on the matter. So let’s not be labouring under any delusions that the battle is won. But this is a massive step in the right direction. Congratulations to those who have driven this campaign and worked tirelessly to get us this far. And if you haven’t signed yet……. Let’s go back to one of my favourite themes. Making Lawyers more accessible and more popular! A challenge if ever there was one. 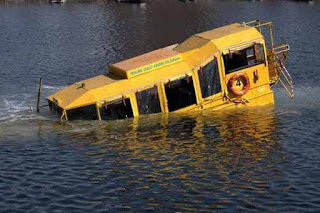 A week or so ago the Liverpool Duck Marine sank in the City’s famous Albert Dock. I commented that I went on it a few years ago with a group of about 12 lawyers. I’ll leave you to guess the comments that were made about it being a shame that we all got home safely! But maybe there are some signs of a change. There are certainly mixed messages in a report from the Legal Services Consumer Panel featured by Legal Futures. It seems that fewer people trust the legal profession in their handling of consumer complaints. But on the other hand a significant majority are happy with the service they receive from their own lawyer. We are the third most trusted profession behind teachers and doctors. So we are ahead of accountants, bankers and estate agents ….. hmmmm. But at least it is a move in the right direction. This is some comforting news at a time when the profession is facing challenges from all sides. But perhaps this adversity can work to change attitudes. For example the recent campaign against the imposition of competitive tendering for criminal legal aid work saw a huge response from lawyers. These were not just those whose businesses might be affected but included those from across the sector who were concerned about access to justice for ordinary people. In relation to accident claims it seems that the public is starting to see through the rhetoric of insurers about the so called ‘compensation culture’. Most drivers that I know raise a smile at the mention of a significant drop in motor insurance premiums. As I mentioned in my last blog the advertising campaign by the legal profession pulls no punches. The ABI have responded by accusing lawyers of ‘mugging the public.’ They are wrong. There are a small number of lawyers who earn huge amounts of money. But the majority work long and often stressful hours to get the best results for their clients. This is the message that we need to get across. There was a time when you would never have seen lawyers on a demo. Necessity has changed that. But we need to keep on driving home the message that it is the public who are hurt if access to lawyers is reduced. Another case to shout about - will anybody listen? Janet (not her real name) is 15. Back in 2010, she was hit by a 4 x 4 and suffered catastrophic injuries. The facts are fairly straightforward. She was crossing a busy single carriageway between a line of cars that was stopped at traffic lights. The 4 x 4 became impatient with the line of traffic and suddenly pulled out to overtake them. He struck Janet at about 25 mph. She was not expected to survive the accident. She was in a coma for 3 weeks and was in hospital for almost 2 months. She has been left with permanent physical disabilities and has a serious brain injury. My colleague Mike Sexton was instructed via her father’s Trade Union. A letter of claim led to a robust denial of liability on the basis that she was the author of her own misfortune for not keeping a proper look out. Despite this, Mike persuaded the insurers to work with the Claimant through the rehabilitation code. Funding was provided in 2011 but when learning about a possible cost of £50,000 for 2012 they unilaterally advised the rehab providers that no further funding would be provided. At about the same time the insurers offered £125,000 in full and final settlement of the claim. Her injuries merit an award that could exceed £2m. The offer was stated to be on the table for 14 days after which it would be withdrawn. The family accepted Mike’s advice to reject. Early in 2012 the offer was increased to £250,000 with the same time pressure to accept. The family accepted Mike’s advice to reject this; and court proceedings were issued. By the end of 2012 the offer was increased to £750,000 and there was also an offer to pay 75% of any amount she might recover at trial. This time the family were given 21 days to accept. The family again accepted Mike’s advice and rejected both offers. So the matter arrived at Trial early in June 2013. At the door of the court, the Defendants’ QC offered to settle on the basis of 82.5% of the claim. This was a huge increase from the initial offer but would still have wiped out several hundred thousand pounds from her damages. Following advice the family rejected the offer and the trial went ahead. The judge found 100% in her favour. The insurers were ordered to make an immediate interim payment to her parents to cover their expense to date. The case was then adjourned for full reports on quantum to be prepared. This was obviously an important case to win. But it also demonstrates the lengths that insurers will go to in order to avoid payment altogether or to intimidate victims and their families to accept less than their entitlement. They were effectively dragged kicking and screaming all the way to trial. This should all be seen against the constant rhetoric that lawyers are not needed in injury claims. If the family had accepted the first offer Janet would have got less that 5% of the value of her claim; a claim which she eventually won in full. Without robust legal advice the outcome might have been very different. If the insurance industry and the government get their way it is likely that hundreds of victims will be denied justice. One of my recurring themes is how to make the law and lawyers accessible to all. The interesting statistic is that less than 16% of small businesses go to lawyers for legal help. That figure drops to 6.5% for individuals. I’m not sure where this leaves the insurance industry’s compensation culture but that’s another subject. A staggeringly high number say that they do not seek any legal help at all. There are two important messages here. The first is that there is much that the legal profession needs to do to bridge the gap. The second is that if we do bridge the gap there is a massive potential for new work. So is either of those possible? Now I am an eternal optimist; so am bound to say ‘yes’. But it won’t be easy. The first thing we need to do is get out there and communicate with the public where they are at. The days are long gone when we could open our doors and make a living our qualifications and reputation. Whatever we think of the recent changes there are brands out that will beat us hands down. Eddie Stobart and Co-Op come to mind. Firms are beginning to use social media but we are still way behind the rest of the world. We need to be aware of its staggering reach. For example LinkedIn tells me that my connections have a potential reach of 10.5m. That is the population of the Czech Republic – so if I moved there I would clean up! One reason why people get into trouble on Twitter is that they do not grasp its reach. Lawyers in other jurisdictions seem to have got the message. Of my 600+ lawyer contacts on Google+ about 95% are from the USA or Australia. Hardly any are from the UK. I also think it is inevitable that we need to revisit how we charge for what we do. For individuals and small businesses the idea of having to pay an hourly rate over an undefined period of time is a big deterrent and is perceived as a licence to drag work out. For many areas of work fixed fees for identifiable tasks are going to be inevitable. So before that agenda is driven by clients should lawyers be looking themselves at more user friendly ways of charging? We also need to listen to what the public say to us. So if you are not a lawyer, here are two questions. What do you think of lawyers? (Be gentle). And what can we do to respond to your needs? (lemming imagery not permitted!!). 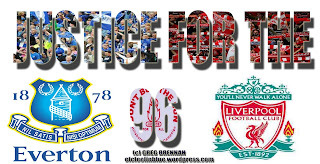 I mentioned last week that we were edging closer to justice for the families of the 96 Hillsborough victims when the hearing date was fixed for the new inquests. I also mentioned that the QC representing the police had suggested that the report of the Hillsborough Independent Panel should not be accepted as such by the Coroner as the panel had an ‘agenda’. He does have a point. The whole idea of having a panel which was to have unrestricted access to all documents, was to enable the country, once and for all, to get answers that have been hidden for 23 years. The idea of having a Bishop in the Chair was to underline its independence. For the police, who have been behind one of the most shameful cover ups in history, to question the reliability of the report is shocking. I can’t see how that will do anything to restore confidence. I had many comments following last week’s blog, including a number who said that the panel did indeed have an agenda – the truth. It has also become clear over the last week that the inquests are going to require evidence from hundreds of witnesses who were at the game. This will be very difficult for those who were there and will have to re-live the awful events again. My own firm are acting for families and we have had to put out requests for witnesses in the press and on social media sites. I can fully sympathise with those who are reluctant to come forwards after all these years. This is another side effect of the lost years. But they are coming forwards in numbers – such is the determination to see this through. I suspect that the hearings will last for months. But if that is the price to pay to get to justice then so be it. The aggressive approach of the police only seems to have made people more determined. You can ban referral fees but you can't ban accidents! The last few weeks have been dominated, and rightly so, by Hillsborough and the impact of the proposals in relation to criminal legal aid. In the two months that have gone by we have seen a few firms decide to run off their work with a view to closing. Others have knuckled down and revised the way that they do business to adapt to the new world. The full impact of the drastic cuts in fees will not really been seen until next year and cases are still being concluded under the old rules. One thing that had an immediate impact was the ban on referral fees. So many firms have redirected their spending on marketing initiatives, employment of former claims management staff and various hot-key arrangements where the person providing the ‘information’ is the client. None of this is banned. What has happened is that lawyers have adopted a more business like approach to their work. In the meantime you can't ban people from havong accidents, incurring diseases at work or becoming victims of medical blunders. For all of their efforts, neither the insurers nor Mr. Grayling are going to make them go away. The agenda covers a range of topics from costs budgeting to Google rankings. Speakers include the ever popular Dominic Regan and Neil Rose . Be there or be square! It is hard to imagine a less convincing document. All it talks about is cost and in particular that we have one of the most expensive legal aid systems in the world. The problem with this argument is that it assumes that all legal systems in the world are identical. I have no doubt that there are some countries who spend less money than we do on protecting the rights of their citizens. Those figures have nothing at all to do with the current concerns. They bear no resemblance to the earnings of those overworked lawyers and staff who attend police stations at unearthly hours and spend long working days in court, often preparing for hearings long into the night. Most of them earn about the same as teachers or civil servants and probably much less than some reporters. But there is something even more misleading about the ‘story’. It assumes that the lawyers who are campaigning are just trying to protect their own ‘gravy train’. I do not do criminal cases. My firm do not do criminal work. We have no commercial interest in the ‘reforms’. But we are fully behind the campaign. In fact I have yet to speak to any lawyer who is not. This is because the proposals are wrong. They offend our most basic understanding of justice – that a person is innocent until proven guilty. If somebody is accused by the state they should have equal resources available to them. If the MOJ has no answer to the campaign then it should revise the plans. If the best it can do is get its mates in the press to try and throw some dirt then the future for justice is bleak indeed. We moved a significant step closer to seeing justice for the 96 victims of the Hillsborough disaster today as the date for the new inquests was set for the end of March 2014, at a venue still to be confirmed. The inquests will be before Lord Justice Goldring who also announced at the hearing in London, that the inquests will take place in front of a jury. This is extremely important news for the families. There is such a level of mistrust of the establishment because of scandalous cover ups that a jury of ordinary citizens is the only way that any trust can be regained. There is much work to be done between now and March but the signs are more encouraging than they have been for many years. That is not to say that all is going to run smoothly. And we have also seen the first signs of a fight back from the police. At today’s London hearing the lawyer representing the police questioned the reliability of the report of the Hillsborough Independent Panel. It was this devastating report last September which led the Prime Minister to publicly apologise to the nation. He said that the Panel’s association with groups campaigning for the families meant that it had an ‘agenda’. We at least have some idea of the arguments that will be raised. There will be a further hearing later in the year. This is one issue which has united the City of Liverpool for 24 years. I know many people who were and still are affected by the events of that day. Bill Shankley once said that some people said that in Liverpool football was a matter of life and death but in fact it was far more important than that. He was wrong. 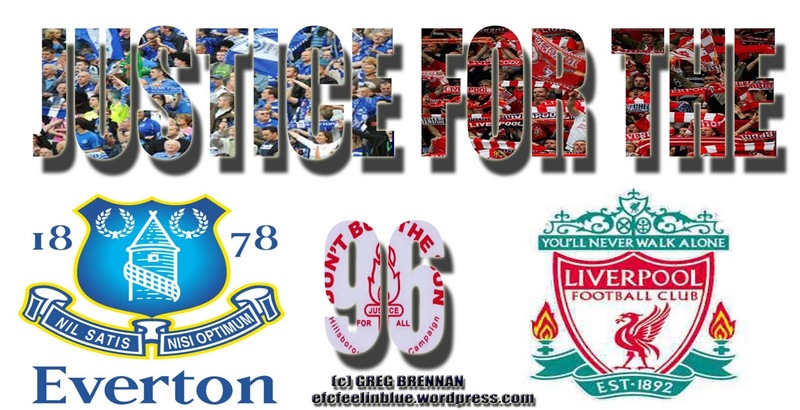 I am a lifelong Everton fan but this campaign for justice for the 96 has gone way beyond any football loyalties. That justice is creeping nearer bit by bit. So now we know how much a drop in the ocean is worth – at least in political terms. Labour’s Shadow Chancellor Ed Balls today announced that if his party were in Government they would cut the Pensioners Winter Heating Allowance for the most well off. He said that this would save the tax payer about £100m a year. The right of defendants to representation by the lawyer of their choice has been a cornerstone of our justice system. Those who face prosecution by the state have always had equal access to the state’s resources to defend themselves. Innocent until proven guilty as the old and rather awkward statement goes. We now know that those treasured rights are worth 2.2 drops in the ocean. That is how cheap justice has become. Effectively a worthless commodity to be tossed overboard with hardly a splash – so to speak. So what is worth more to the politicians than justice for its citizens? Missiles certainly are! Earlier this year the Telegraph reported a planned spend of £160 Billion over 10 years with 35.8 Billion on nuclear submarines. That’s a lot more than a drop in the ocean. In fact it would put a bloody big hole in the ocean! That is what justice is worth to this government. The cost to us all, of losing it is beyond price. If you haven’t already done so – scroll up the page, go back to the online petition and sign it! !